Showing 1-10 of 28 results. The Wadham Energy Limited Partnership facility is a 26.5 MW (net) biomass-fueled power plant which began operation in 1989. The facility utilizes an agricultural residue fuel, rice hulls generated from the rice milling industry. Wadham provides a critical service to California’s rice milling industry, ensuring the beneficial use of rice hulls. Prior to Wadham’s operation, rice hull disposal was an increasingly troublesome problem for the rice mills with over 360,000 tons of hulls being produced each year. Wadham utilizes up to about 200,000 tons of rice hulls per year, converting these rice by-products into a renewable fuel for its facility. This facility is the world’s largest rice hull-to-energy plant providing a valuable environmental role to California. Wadham maintains a staff of 22 employees. All capacity and energy from the facility are sold to Pacific Gas & Electric Company. Biomass plays a big role in sustainability for Veolia, which owns and operates facilities around the world. At Veolia, we’re more than the world’s leading provider of environmental solutions – we’re dedicated to customized, cost-effective solutions that reflect best practices, environmental protection and a better quality of life. Turning biomass materials and wastes into reliable, affordable energy while making the Earth greener. This is something we all want to see and it is ReEnergy Holdings’ mission. ReEnergy is beginning to transform this vision into reality. In our hands, biomass waste isn’t something to be thrown away and fill ever-diminishing landfill space. It’s a resource to be transformed into energy through advanced technologies, innovative practices, and abiding dedication to the well-being of people and the environment. We’re also committed to seeing that recyclable components of biomass waste are managed with environmental soundness so they become re-used and converted into new products whenever possible. We’re proving that green and consumer-friendly practices are great for business. In addition to its private-sector initiatives, ReEnergy Holdings seeks to assist communities to improve their waste management and recycling programs through public-private partnerships. Our executive team is among the industry’s most experienced in the management of renewable energy, recycling and waste management systems. ReEnergy is a portfolio company of Riverstone Holdings LLC, an energy and power-focused private equity firm that manages nearly $16 billion of investments in the energy industry. Based out of Latham, NY ReEnergy currently has operations and interests throughout the New England area. Novo BioPower is a renewable energy company engaged in biomass power generation utilizing wood waste as a primary fuel source. Novo BioPower, LLC, also known as the Novo BioPower Plant, is a 28 megawatt biomass power plant located in Snowflake, Arizona, approximately 180 miles Northeast of Phoenix. 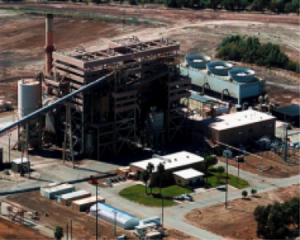 The Novo Plant has two long-term power purchase agreements in place with Arizona Public Services (APS) and Salt River Project (SRP), Arizona’s two largest electric utilities. Since 1957, Morbark has developed a reputation for designing and producing durable, high performance wood reduction machinery reflecting customer input and innovative problem solving features. 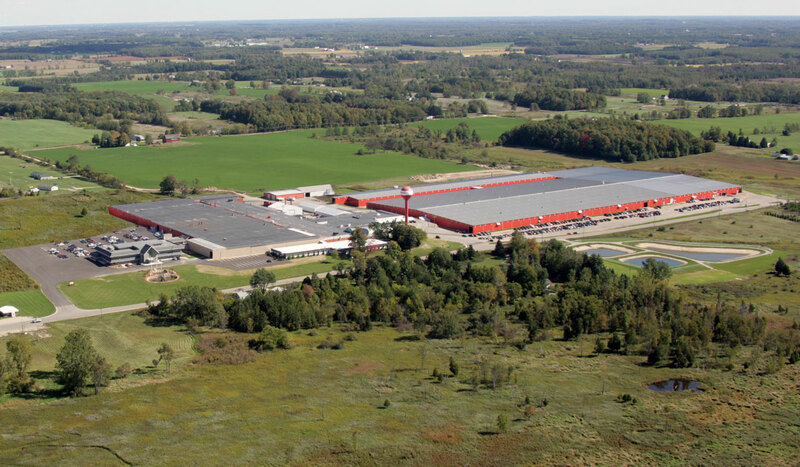 With a world-class manufacturing facility of 1 million square feet and nearly 500 employees, Morbark has continually grown by meeting the needs of its customers. Today, machines equipped with our automated feed systems create the highest production output in the industry. Morbark serves a variety of industries and applications involving wood and organic materials including forestry, sawmill, tree care, recycling and biomass energy. The product line includes hand fed chippers to self-feeding whole tree chippers, tub and horizontal grinders, debarkers, sawmill equipment, and application specific attachments to get the job done. Morbark’s equipment adds value in two primary ways – first, by converting wood and wood waste materials into saleable, profitable products, and second by reducing the volume of materials to save space in landfills or reducing transportation costs. Where the processed materials are saleable, Morbark’s extensive line of machines comes through with uniform, predictable quality, tailored to meet the customers’ needs for all jobs large and small. Michigan Biomass is an advocacy group for small wood-fired power generators operating under power purchase agreements effective prior to 2000. These projects generate reliable and affordable renewable energy from locally generated waste wood. Michigan Biomass members provide good pay for skilled workers and support more than a thousand indirect jobs in the forest products industry that produces biomass fuel. Michigan Biomass facilities inject more than $68 million a year into local economies, mostly in rural northern Michigan. Michigan Biomass works with the general public, policymakers and the forest products industry to ensure Michigan forests are healthy and can support multiple uses, including energy production, which is integral to the state’s economy. The Maine Renewable Energy Association (MREA) is a not-for-profit association representing renewable power producers and their suppliers of goods and services. MREA leads the local and statewide policy debate on renewable energy generation in Maine, and works to ensure its efforts are united with those of its member companies. MREA members include hydro, biomass, wind, tidal, and waste-to-energy producers. Jamestown Energy Inc. is a California based Independent Power Producer with deep experience in power marketing, financing and operating biomass energy projects in California. 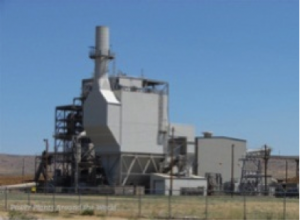 Jamestown is the majority owner of Pacific Ultrapower Chinese Station, a 20MW biomass power plant located in Tuolumne County, CA, under long term contract with Southern California Edison (SCE). IHI Power Services Corp. (IPSC) was specifically formed to provide operations, maintenance, management, and power plant support services to the U.S. power generation industry. The IPSC team of energy professionals delivers “Value Added” service through years of hands-on experience in the power generation industry. By using proven programs, industry “Best Practices” and IHI core “Beliefs and Values”, IPSC provides world-class service to each facility and project managed. Pacific Ultrapower Chinese Station (PUCS) is located in the foothills of Central California near the community of Chinese Camp. The facility is a 19.8 MW biomass plant utilizing wood fuel from forest management operations (such as pre-commercial thinning or dead tree removal), urban construction and demolition wood, and agricultural products such as nut shells and orchard prunings. The power produced by PUCS is purchased by Pacific Gas & Electric under a long-term Power Purchase Agreement. PUCS is a partnership venture between IHI Power Generation Corp. and Jamestown Energy with IPSC serving as the managing partner. IPSC provides operations and maintenance services under an Operations and Maintenance agreement. Rio Bravo Fresno (RBF) is located in the heart of California’s agricultural region in the community of Malaga. This biomass-fired electrical generating facility is rated at 24.3MW net and runs continuously at full load. The power produced by RBF is purchased by Pacific Gas and Electric through long-term Power Purchase Agreement. The fuel source at RBF is renewable biomass. Agricultural prunings and urban wood are the two major sources of biomass used at the facility. Much of the material has historically been open burned or land filled resulting in atmospheric pollution, waste of landfill capacity, and underutilization of renewable resources. The circulating fluidized bed (CFB) boiler technology used at RBF allows for a more complete and efficient burn of the biomass, thus air pollutants are dramatically reduced. Additionally, RBF utilizes a SNCR, Limestone Injection and an ESP for criteria pollutant emissions controls. The use of biomass at the plant offsets the equivalent of 457,000 barrels of oil annually, providing clean, efficient energy. The facility is currently owned by IHI Power Generation Corp. and and North American Power GroupIPSC provides operations and maintenance services under an Operations and Maintenance agreement. Rio Bravo Rocklin (RBR) is located in Central California near the community of Rocklin. RBR is a 24.4 MW biomass facility burning 95% urban wood which would otherwise be delivered to landfills. The power produced by RBR is purchased by Pacific Gas and Electric through long-term Power Purchase Agreement. The circulating fluidized bed (CFB) boiler technology used at RBR allows for a more complete and efficient burn of the biomass. Additionally, RBR utilizes a SNCR, Limestone Injection and an ESP for criteria pollutant emissions controls. In 2009 Rio Bravo Rocklin was named one of the top renewable power plants in North America by POWER magazine. This recognition from Power magazine features plants from across the country, which performed at the top of their particular fuel type or class. RBR is a partnership venture between IHI Power Generation Corp. and North American Power Group. IPSC provides operations and maintenance services under an Operations and Maintenance agreement. Shasta Renewable is located in Northern Sacramento Valley. Shasta Renewable is a 6 MW biomass facility burning agricultural waste, forest wood, and ~1% urban wood. The power produced by Shasta Renewable is purchased by Pacific Gas and Electric through long-term Power Purchase Agreement. Shasta Renewable is located in a strategic area allowing for these fuels to be easily transported to the plant for energy recovery. The operation of this plant offsets the negative impacts of open burning and land filling, which results in atmospheric pollution, waste of landfill capacity, and underutilization of renewable resources. A fixed grate stoker boiler technology is used, with the addition of SNCR, and a newly constructed ESP (replacing a wet scrubber) for air pollutant controls. The use of biomass at the plant ensures healthy forests, regenerated agricultural tree farms as well as providing clean, local energy. Shasta Renewable is a partnership venture between Shasta Renewable Resources, LLC and Anderson Plant, LLC. IPSC is contracted to provide operations and maintenance services under an Operations and Maintenance agreement. 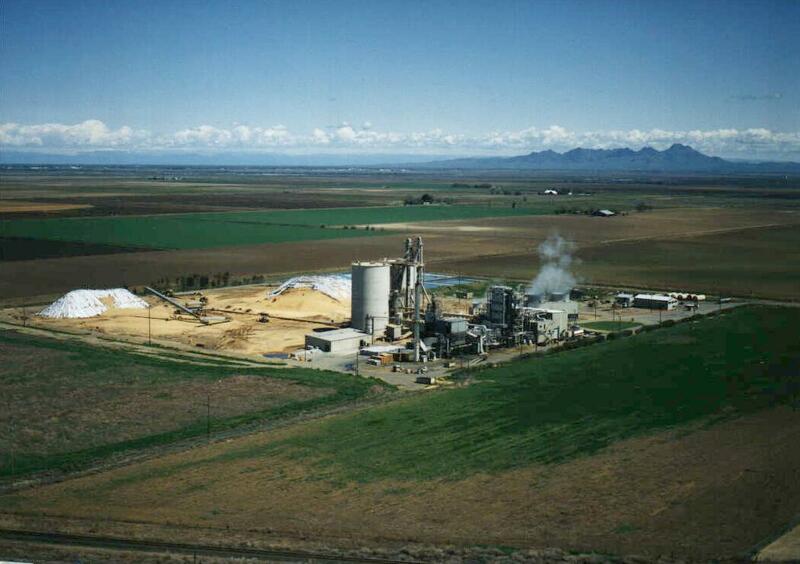 Buena Vista Biomass Power (BVBP) is located 5 miles south of the city of Ione in California. Buena Vista Biomass Power is designed with an output of approximately 18 megawatt of base load electric generating capacity to the region. The plant has been re-powered as a long-term sustainable biomass renewable energy power generation from a lignite plant. The biomass plant was designed to create a safe, reliable and environmentally-responsible commercial operation that went into service in 2010. The plant uses a circulating fluidized bed (CFB) boiler that combusts biomass in a controlled manner, heats water to steam which then enters a turbine-generator to make electricity. One advantage of CFB boilers is that it is possible to combust very low moisture content fuel compared to a traveling grate design. Also, the design provides complete combustion, which emits low air emissions. . Additionally, BVBP utilizes a SNCR, Limestone Injection and a Baghouse for criteria pollutant emissions controls. The fuel for this plant is derived from a variety of sources including clean urban wood diverted from landfills, agricultural byproducts from orchard operations and forest sourced material generated as a byproduct of forest thinning projects that reduce fires. Amador Biomass, LLC, c/o Otoka Management, LLC. IPSC is contracted to provide operations and maintenance services under an Operations and Maintenance agreement. As a company focused on biomass to electricity, Greenleaf Power is a leading provider of renewable energy in North America. We own and operate 154 megawatts (MW) of dependable generation, fueled by sustainable biomass material. Greenleaf Power collects residual biomass material from agricultural, construction, demolition, landfill, and timber industries and converts that biomass into carbon-neutral electricity for sale to municipal, public power, and investor owned utilities. Greenleaf Power, LLC was formed in October 2010, to acquire and operate base-load biomass plants and improve those plants performance through: implementation of fuel-supply risk mitigation, PPA contract management, cost discipline, leveraging operating synergies, and applying best-in-class management and operations practices to extend the economic lives of the plants. Greenleaf completed its first acquisitions in 2010, and has grown its portfolio, which now contains five operating facilities with a combined generation capacity of 154 MW. Greenleaf is headquartered in Sacramento, CA. and directly employs more than 130 people and creates nearly 500 local dedicated jobs collecting, processing, and delivering fuel and consumables to its generating plants. Desert View (DVP) is under a long term power purchase agreement with Imperial Irrigation District. DVP is a net 47 MW woody biomass electrical generation facility located approximately 40 miles east of Palm Springs in Riverside County California. The plant is a qualified in-state base load renewable resource (CEC# 60692A) that has been consistently providing renewable energy since 1992. Greenleaf Power acquired DVP in 2011. DVP utilizes two Combustion Engineering circulating fluidized bed boilers and one Siemens steam turbine generator set to generate between 350,000 and 375,000 MWs annually. The boilers are equipped with multi-clones and baghouses for particulate control, ammonia injection for NOx control, limestone injection for sulfur dioxide control and hydrated lime for HCl and sulfur dioxide control. DVP operates under a Title V Permit and is compliant with all Federal, State, and Regional regulations. Each year DVP burns between 360,000 and 390,000 tons of urban wood waste, orchard removal trees, and fruit pits. The majority of the fuel is in the form of urban wood waste that is diverted from regional landfills allowing local jurisdictions to meet AB 939 mandated recycling diversion targets. Orchard material is consumed at DVP to satisfy local air quality offset requirements. Honey Lake (HLP) is under a long term contract with San Diego Gas & Electric. HLP is a net 30 MW woody biomass electrical generation facility located approximately 20 miles east of Susanville in Lassen County California. The plant is a qualified in-state base load renewable resource (CEC# #60077E) that has been consistently providing renewable energy since 1989. Greenleaf Power acquired HLP in 2010. HLP utilizes a Zurn travelling grate wood fired boiler and General Electric steam turbine generator. The boiler is equipped with multi-clones and an electrostatic precipitator for particulate control, ammonia injection for NOx control, and sodium bicarbonate reagent for sulfur dioxide control. HLP operates under a Title V Permit and is compliant with all Federal, State, and Regional regulations. Each year HLP burns between 150,000 and 200,000 tons of woody biomass from the following sources: forests derived fuel, urban wood waste, and sawmill byproducts. Additionally, the project uses geothermal groundwater from local wells to preheat its boiler feed water, reducing the plant’s consumption of biomass. Plainfield Renewable Energy (PRE) supplies the majority of its energy, capacity, and renewable attributes to a subsidiary of Eversource under a long term power purchase agreement. Energy and capacity are also sold in the ISO New England wholesale and capacity markets. Renewable energy certificates are also sold to third parties. PRE is a net 37.5 MW woody biomass electrical generation facility located in Plainfield, Connecticut. The plant is a certified Class I renewable energy source (Certification #CT00666-13) that has been operating since 2013. Greenleaf Power acquired PRE in 2015. PRE utilizes a state-of-the-art staged gasification system and one Alstom steam turbine and WEG generator to generate approximately 290,000 MW annually. 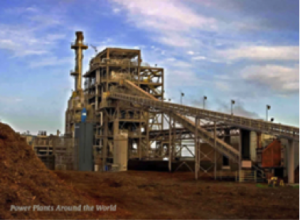 The plant is equipped with a baghouse for particulate control, urea injection for NOx control, and limestone and hydrated lime injection combined with a circulating dry scrubber for sulfur dioxide control. PRE operates under a Title V Permit and is compliant with all Federal, State, and Regional regulations. PRE burns annually approximately 350,000 tons of clean wood recovered from construction and demolition activities and other sustainable wood from forestry and land clearing activities. St. Felicien Cogeneration Power Plant is located in St. Felicien, Quebec, Canada approximately 300 miles north of Montreal. The plant was built in 2001 with Greenleaf taking ownership in 2013. The St. Felicien facility has a net capacity of approximately 23 megawatts of electricity. It is capable of providing baseload renewable energy for as many as 23,000 homes as well as steam which is provided to the adjacent facility. The biomass facility sells its electrical output to Hydro-Quebec under a long-term agreement. Thermal Energy Development Partnership (TED) is currently idled. TED is a net 20.5 MW woody biomass electrical generation facility located in Tracy, in San Joaquin County California. The facility is a qualified in-state base load renewable resource (CEC# 60091E) that has provided renewable energy since 1990. Greenleaf Power acquired TED in 2013. TED utilizes a Detroit Stoker vibrating grate wood fired boiler and Dresser steam turbine generator set. The boiler is equipped with multi-clones and an electrostatic precipitator for particulate control, ammonia injection for NOx control, limestone injection for sulfur dioxide control, and sodium bicarbonate reagent to reduce stack plume. TBP operates under a Title V Permit and is compliant with all Federal, State, and Regional regulations. Each year TED burns between 150,000 and 200,000 tons of urban wood waste, orchard removal trees, and shell and pits. The majority of the fuel is in the form of urban wood waste that is diverted from local Bay Area landfills allowing local jurisdictions to meet AB 939 mandated recycling diversion targets. Orchard material is consumed at TED to satisfy air quality offset requirements.